FLOWER POT TEAROOM is one of the unique attractions on the Pacific coast. Giant flowers rise realistically from the roof. Right â€” COFFEE POT specializes in quick lunches for passing tourists. Steam rises from the spout. 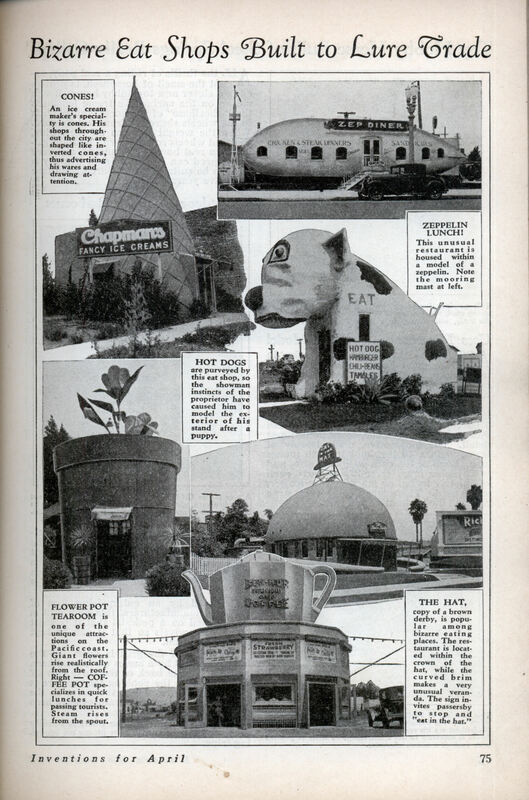 THere was an example of one of these “shaped” restaurants near my home town when I was growing up. “The Milk Can” was an ice cream stand shaped like its name – a three-story milk can with the serving windows spaced around the outer side of the bottom. The original shape had been added to over the years somewhat marring the original concept but it was still striking. That puppy’s eyes are not in the right place. When I was little there was a place in Indianapolis called the “Satellite” and it had one of those cool spiky balls for a sign. The last time I took US 301 from GA to Greenville SC you could still see the remains of an old coffee shop with a giant coffee pot on top, don’t know if it’s still there. 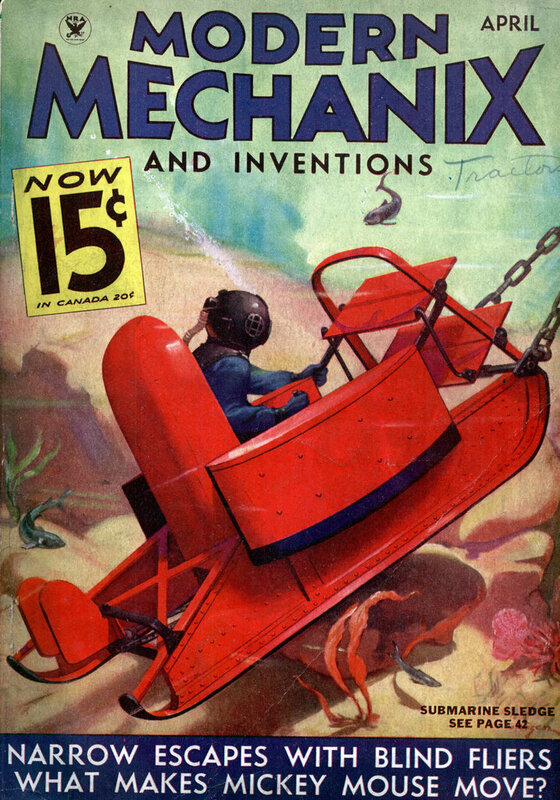 This is the kind of thing that makes me wish I could climb into a period automobile and go driving around in 1934 for a day or so. Indeed – I concur on the touring 1934. My wife and i were talking about it yesterday evening – these are remnants of a time when travel speeds were much slower and highways not limited access – so what you got was striking architecture that became its own advertising. This way, it was “Gee, look at that! Feel lke a coffee stop?” and swing in, as opposed to today where you’d barely have time to register the buildin;gs design as you whip past at 75. It still goes on. In the next town over we have a famous landmark of The Big Chicken http://roadsidegeorgia…. When the owners attempted to tear it down in 1993 the public outcry saw it being repaired so it still stands today. These people need a life.